Take these steps to halt the thinning of your bones as you age. Eat calcium-rich foods. Besides dairy products, choose fish with bones (such as salmon, sardines or whitebait), and serve them with a side of dark leafy green vegetables or broccoli. 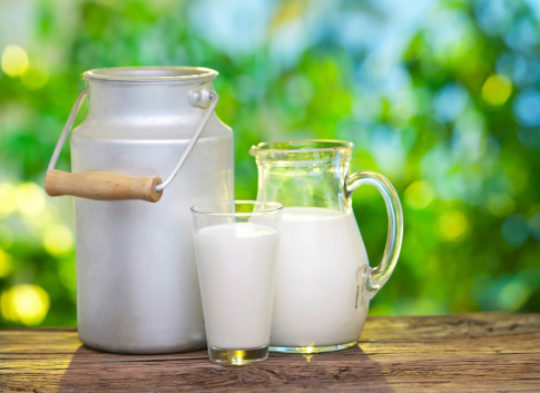 Fortified tofu and soy milk are other calcium-rich choices, says registered dietitian Laura Jeffers, MEd, RD, LD. For a calcium boost, snack on almonds or dried figs. Add some D to your day. To help absorb calcium, most adults need 1,000 to 2,000 IU of vitamin D daily, says Dr. Sikon. Combined calcium-vitamin D pills usually do not contain enough D to meet this requirement. “Vitamin D deficiency is far more common than previously thought, and affects everyone, young and old,” she notes. This is especially true in any region north of Atlanta. Due to the risks of skin cancer and the difficulty in getting vitamin D from the sun, it is best to take a vitamin D supplement to ensure you are meeting your daily needs. Avoid smoking and drinking to excess. Loss of bone mineral density is associated with tobacco use and excessive alcohol intake, says Dr. Sikon. If you smoke, look into a smoking cessation program, and if you drink, stick to no more than one mojito or glass of wine or beer a day, she advises. Get your bone mineral density tested. Doctors can get a quick and painless “snapshot” of bone health using a simple X-ray test called DXA. This test measures bone mineral density (BMD) and helps determine risks of osteoporosis and fracture. “Most women lose bone at an accelerated rate for four to seven years after menopause, so they may wish to start BMD testing within two years of menopause,” says Dr. Sikon. Younger women who skip periods or suffer unexplained broken bones/fractures should start testing sooner. Earlier BMD tests are recommended for men and women with certain diseases and for those taking medications that increase risk, such as long-term steroid therapy. Anyone who has broken a bone from a fall from a standing height should be evaluated for osteoporosis. “This is not normal — if you fall, you should not break anything,” she adds. If necessary, consider medication. Perimenopausal women at high risk of osteoporosis may consider hormone therapy to boost the waning estrogen levels linked to bone loss. Women and men diagnosed with osteopenia or osteoporosis can take various medications to prevent dangerous hip and spine fractures. Bisphosphonates prevent further bone loss and are taken by mouth once a week or once a month or, if side effects occur, once a year by IV infusion. Teriparatide, a medication similar to a natural human hormone, rebuilds bone when given by daily injection but can be taken safely for just two years. The newest medication for osteoporosis is called denusomab. It is given via a shot every six months. “None of these medications works without calcium and vitamin D as building blocks,” cautions Dr. Sikon. To see Dr. Sikon or other physicians in Cleveland Clinic’s Center for Specialized Women’s Health, call 216.444.4HER.